Manus Island, Papua New Guinea – Aziz Abdul Muhamat had agreed to meet me for an interview near the East Lorengau refugee transit centre at eight in the morning. 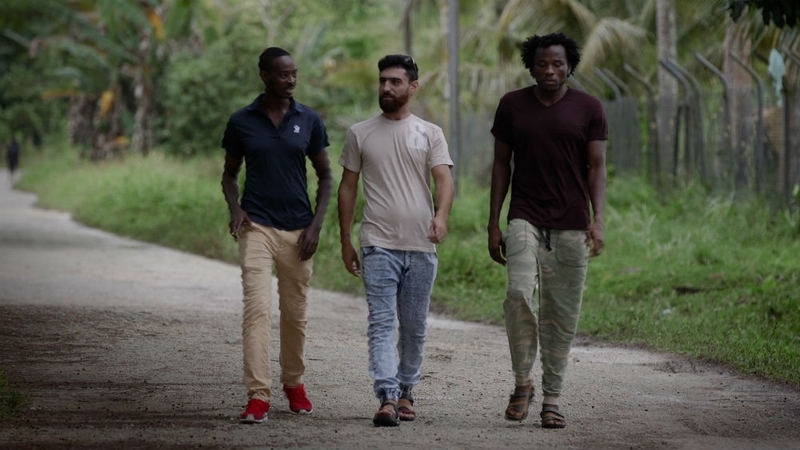 The 25-year-old Sudanese man is a nominee for a global human rights prize – the Martin Ennals Human Rights Defender Award – for his advocacy work on behalf of his fellow refugees on Manus Island. But Muhamat wasn’t answering messages. Later, I would learn that it was because he’d been up until the early hours, giving words of hope to desperate men – men who have been self-harming. As of October, there were around 500 male refugees remaining on Manus. 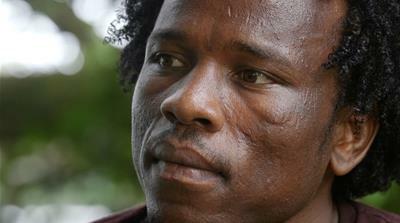 Perhaps another 100 were asylum seekers whose bid to be recognised as refugees had failed. Getting precise data on them – and whether they have moved to the capital, Port Moresby – from Australia’s government has been consistently hard for years. Luck was not on the side of these men when they tried to get to Australia from Indonesia, coming face-to-face with a new Australian policy to halt boat arrivals once and for all – and, according to the government, stop deaths at sea. From 2013, authorities began intercepting boats and taking those on board to Australia’s Christmas Island. Eventually, the refugees were flown to Manus or the tiny republic of Nauru. 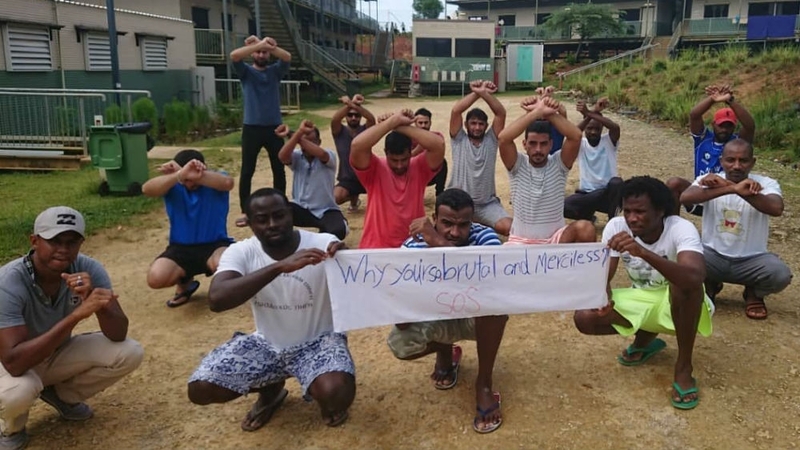 With the agreement of the government in Port Moresby, it was decided that the men on Manus would be housed in an Australian navy base. The detention centre was shut in late 2017 – its last remaining men violently ejected and moved on to “transition centres” – after a large cohort spent several weeks resisting the power, water, food and medicine cuts, gaining a sizeable amount of media coverage. I felt that people are calling my name, ‘Aziz’, instead of Q and K and Zero, zero, two. But most stay put. A much-vaunted “US deal” to allow these refugees to settle in the United States is their remaining hope, but for many, it is fading fast. More than 400 people formerly held in Nauru – where Australia detained families and children – and Manus Island have already been resettled in the US. The ones I’ve spoken to have jobs, rented apartments, cars – in short, new lives. Of course, they’re still scarred from their time in detention, but they’re off the islands. Australia’s government has repeatedly promised that these men will “never” settle in Australia, lest “people smugglers” begin selling their product once more. The hope that came with news of the so-called US deal has for some become an unbearable disappointment. In the face of that, I’m struck at the incredible strength of character on display by many of the young men I met. “We tell these men, we give them false hope for them to go and sleep,” Muhamat said one afternoon as we sat in my hotel room. For Muhamat, the day-to-day ritual of helping others over the years – liaising with journalists and lawyers, teaching English to other refugees, talking friends out of self-harm and suicide – has been part and parcel of survival. “As long as what I’m doing, people are getting a benefit out of it, I don’t actually feel that pressure,” Muhamat said. Later, I see a message from a refugee reporting a man’s attempted suicide, his second in two days. After he fails to hang himself, he tries another desperate act – overdosing on tablets and drinking shampoo.